Where Are the Voices of Welfare Recipients in the Discussion? Who Are the Participants in This Study? Historical and Persisting Dilemmas: How Do We Explain Poverty, What Should We Do about It? 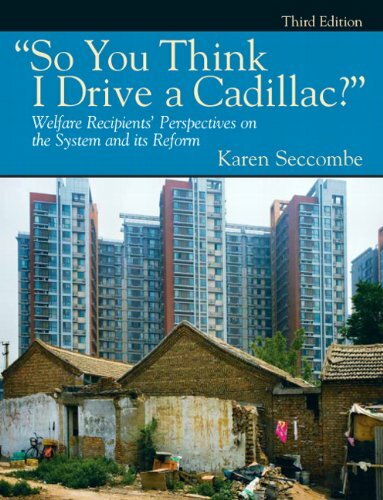 Welfare Reform: "Ending Welfare As We Know It"
Blaming External Forces: "It's Not My Fault." Why the Inconsistency Between Explanations of Their Own and Others' Use of Welfare? Daily Activities: Wild Living or Depressing Routine? Making Ends Meet with "The Check"
Working Side Jobs: Is This Fraud? Has Welfare Reform Been a Success or a Failure?